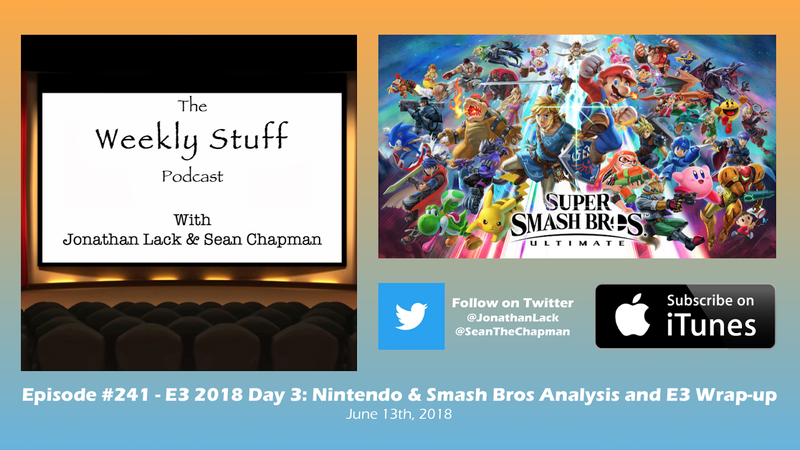 The third day of E3 2018 shows brought us Nintendo’s showcase, which was almost entirely focused on the reveal of Super Smash Bros. Ultimate for Nintendo Switch. The game looks like it will deliver the goods and then some – but did the show need to spend over 25 minutes diving into such extreme minutiae? We answer this question and any more as we consider Nintendo’s offerings, before diving into some final thoughts on everything we’ve seen over the past few days. 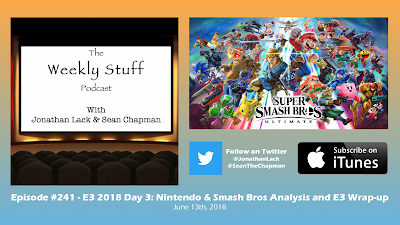 We rank everybody’s shows, list the best and worst games displayed on stage, and discuss the silliest, most impressive, and most surprising moments of this year’s E3.